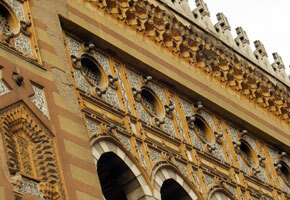 A peek into Bosnia and Herzegovina’s turbulent and culturally rich past. Bosnia has been inhabited since the Prehistoric period, beginning in 8500 BC, and the area that is called Bosnia and Herzegovina today was called Illyricum in ancient times. The Illyrians remained isolated until the Celtic migrations in the 3rd and 4th centuries, which resulted in the Illyrians living near the Celtic in this region. While some believe that there were groups living close together speaking distinctly different languages, there still isn’t very much evidence to substantiate this claim. By 229 BCE, there was conflict between the Romans and the Illyrians. By about the 2nd century, the Romans had control over this region, and the annexation was finally complete in the 9th century. During the beginning of the Roman period, Christianity was introduced to what is now the region of Bosnia and Herzegovina. Goths, an East Germanic tribe, arrived in the region until the 6th century. After the 6th century, the migratory people called Slavs invaded the Roman Empire and ended up settling in the current Bosnia and Herzegovina area, followed by the Serbs and Croats. While the details on this period remain slightly unclear, it is thought that the Slavs who settled in the area had a tribal structure which later gave way to Christianity in the late 9th century. In the late 12th century, Ban Kulin ruled this region for 30 years, which is considered one of Bosnia’s greatest golden ages. In fact, Kulin remains a hero of Bosnian national folk tales even today. From the 12th century until the 14th century, there was a power struggle between the Kotromanic and Subic families. The Kotromanic family gained power and eventually got full control in 1367. With Tvrtko Kotromanic’s shrewd lead, the country grew impressively in size and in power. After Tvrtko’s death, Bosnia became weaker. During this period of decline, the Ottoman Empire managed to conquer the region and assume control. Bosnia fell in 1463. The Ottoman Era contributed much to what makes Bosnia and Herzegovina a unique area in architecture, food, and culture today. The Ottomans allowed for the Bosnia region to remain defined territorially, which was a unique instance in Ottoman rule. Not only that, but the Ottoman Empire went to work on the political aspects of the country, improving landholding plans and developing a new class system. The Ottoman Empire contributed several different cultural and religious elements to the region, much of which is still visible today. The Muslim community emerged and grew; Jewish people arrived from Spain. Major cities also developed under Ottoman rule. Mostar and Sarajevo became important centers for trade and cultural elements, and impressive architecture was built in these areas, including mosques and political centers. Despite very healthy growth both in social order and architecture, Bosnia was plagued by rebellions and uprisings. Later, the Ottomans releasing their administrative control of Bosnia in 1878 to Austria-Hungary.